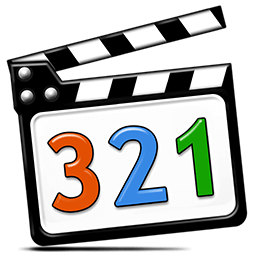 Media Player Classic Home Cinema (MPC-HC) is an extremely light-weight media player for Windows. It is a Media Player Classic mod design for home cinema usage and looks just like Windows Media Player 6.4, but has many additional extra features. Media Player Classic Home Cinema allows you to enhance, decode and accelerate a broad span of movie formats like x.264 with GPU assisted acceleration and image quality enhancing. The MPC Home Cinema player does not require many system resources than the rest of the video media players to run smoothly. This is a low PC resource windows media player that runs on slower machines with older CPUs. Supported Decoding: MPEG-1, MPEG-2, and MPEG-4 playback. Media Player Classic is capable of VCD, SVCD, and DVD playback, without the need to install any additional software or codecs. It has built-in codecs for MPEG-2 video and codecs for LPCM, MP2, AC3, and DTS audio, and also contains an improved MPEG splitter that supports playback of VCDs and SVCDs using its VCD/SVCD/XCD Reader. A *.mp4 and MPEG-4 Timed Text support added. An AAC decoding filter makes MPC suitable for AAC playback in MP4. MPC Home Cinema also has H.264 and VC-1 with DXVA support, DivX, Xvid, and Flash Video formats are available in MPC HC. MPC can also use the QuickTime and the RealPlayer architectures. Media Player Classic supports native playback of OGM and Matroska container formats. Better support for Windows 10, including a release for 64 bits platform.